Stormykromer.com is the website of Stormy Kromer Mercantile, USA. Terms such as “Stormy Kromer,” “us,” “we,” or “our” refer to Stormy Kromer Mercantile, USA. “You” and similar terms means you, the individual accessing our website, as well as any other person or business on whose behalf you may be using the website or who may have rights through you. The terms and conditions (the “Terms” or “Conditions”) apply to the use of the stormykromer.com website, all images, text, video, audio, information, content, or other items on the website and ecommerce shopping (collectively, “Content”). You agree to these terms and conditions, including all updates or revisions, by visiting this website or by placing an order with us. Please note, these Conditions are subject to change at any time and without notice, and it is your responsibility to check these Conditions regularly before ordering products or re-visiting this site in case there are any changes. If you do not agree with the Conditions set out below, you should not use or access this website. all goods ordered by you are for your own private and domestic use only and are not for resale. all details you provide to stormykromer.com for the purpose of ordering or purchasing goods, creating an account, or for any other purpose, are true, accurate, current and complete in all respects; and that the credit or debit card you are using is your own and that there are sufficient funds in your account to cover payment of the product(s) ordered. you are eighteen years old or older. If you are under eighteen, you may only use this site with the agreement of, and under the supervision of, a parent or guardian. If you do not qualify, please do not use this site. we may contact you through all contact methods, accounts, and numbers you may provide to us, including but not limited to email, text, cell phone, land telephone, social media account, or fax, can be used as a means of communication, notification and billing between us. If you receive an email asking for your personal information, username or password, or payment information, please do not respond and contact our Customer Service team immediately by clicking here. you will not use a false name or a known invalid credit card to order. Anyone caught deliberately entering an incorrect or fictitious order, or using a known invalid credit card will be prosecuted to the fullest extent of the law. 3. License and Restrictions on Use. You further agree: (d) not to distribute or use Content, including text or graphics, to others except as permitted by the above license without our express prior written consent; (e) not to distribute, modify, copy (except as set forth above), transmit, display, reuse, reproduce, publish, license, create derivative works from, transfer, sell, or other use the Content without our express prior written permission; (f) not to use the Website including the Content in any way not explicitly permitted by this Agreement; (g) not to take any action intended to interfere with the operation of this website; (h) not to access or attempt to access any portion of this website or any related website to which you have not been explicitly granted access; (i) not to directly or indirectly authorize anyone else to take actions prohibited in this section; and (j) to comply with all applicable laws and regulations while using this website. Any other use of the website or the Content is strictly prohibited. If you breach any of these terms and conditions your license terminates immediately and automatically and without notice. Upon the termination of this license you must stop using the website, including all Content, and return or destroy all copies, including electronic copies, of the Content in your possession or control. All rights not expressly granted are reserved to Stormy Kromer and its licensors. You agree that if you violate any of these Conditions, or any liabilities are incurred arising out of your use of this website, you will be responsible for the costs and expenses that we or our officers, directors, employees, agents and suppliers incur as a result of the breach, including reasonable legal fees (if applicable). You will remain liable if someone else uses your shopping account and/or personal information unless you can prove that such use was fraudulent. for any other reason or no reason, immediately upon written notice from us. In the event this Agreement terminates, all sections which by their nature are intended to survive, do survive. All licenses we granted to you immediately terminate, and you must stop using this site. During the registration process, you must choose a username and password. You are responsible for all actions taken under that username and password and must only purchase from stormykromer.com under your own username and password. You must make every effort to keep your password safe and should not disclose it to anyone. If you think someone else might know it, you must change it. You may not transfer or sell your username to anyone, nor permit, either directly or indirectly, anyone to use your username or password. If there are any changes to the details supplied by you, it is your responsibility to inform Stormy Kromer as soon as possible. Merchandise available for sale changes on a frequent basis. We reserve the right to make changes in our merchandise without notice. Availability information for products is listed on each individual product description. Some of our products may be available only in limited quantities, so we cannot guarantee that a product displayed on a previous visit to our website may still be available when you visit again. An item may be out of stock temporarily or permanently, or discontinued from our product line. When an item is no longer available, we take reasonable steps to remove it from the website as soon as we can. We take care to ensure that all information about our products, including prices, set forth on stormykromer.com is up-to-date, accurate and reliable. However, there may be occasions when information contained on our site may contain incomplete data, typographical errors, inaccuracies as to merchandise size, price, color or other matters, or an item that is no longer in stock. We do not warrant that the information accessible via this website is accurate, complete or current. Any errors are unintentional and we apologize if any information on the site is inaccurate. We reserve the right to correct errors and to update product information at any time, including after you have placed your order. We reserve the right to change prices of any product at any time. We have taken great care to provide accurate product images for each product for sale on the site. However, the colors we use, as well as the display and color capabilities of your particular computer monitor, will affect the colors you actually see on the screen. We are not responsible for the limitations of your monitor and cannot guarantee that your monitor’s display of any color, texture or detail of merchandise will be accurate. Any item purchased by you is also subject to any additional terms or conditions that may be provided with the purchased item. The prices displayed on this website are quoted in U.S. currency and are valid only in the United States. Prices are subject to change at any time. Relevant sales taxes, if any, shall be applied at checkout. If an error is discovered in the price of the goods that you have ordered, we will inform you. We shall be under no obligation to fulfill an order for a product that was advertised at an incorrect price. In the event that you order an item and the price published on stormykromer.com is incorrect for any reason, we may inform you that we have not accepted your order, and that your order has been cancelled. You will be advised of the correct price of the subject product. You may re-order it if you wish. No contract for the sale of any product will exist between you and stormykromer.com until we accept your order by shipping the product to you. The price of any item is not guaranteed until the item has been shipped to you. Your placement of an order through the website is the legal “offer” and shipment by us is “acceptance.” When this happens, we will confirm our acceptance of your order by sending you an email. If the price of a product you have ordered should change prior to shipment, you will be notified by email that your order has not been accepted by us and will not ship. You may re-order the item at the adjusted price if you wish. A confirmation email will be sent to the email address given in your order form and will detail products ordered, payment method, cost (including sales tax and S&H) and usual delivery times.You must check that all the details on this confirmation email are correct and contact us as soon as possible if any details are incorrect.If your order has not been accepted, you will receive an explanatory email from us detailing the reasons why. The stated time to ship and delivery period within which you will receive your order are approximate. Goods will be sent to the address given by you in your order. It is your responsibility to select a secure shipping location / delivery address. We are not responsible for items stolen or removed from your mailbox or other place of delivery. If you are ordering more than one item, your goods may be sent to you in installments if certain items are out of stock. We are unable to ship by one, two, or three day air to a P.O. Box address. Stormy Kromer accepts Visa, MasterCard, Discover and PayPal. All credit and debit cardholders are subject to validation checks and authorization by the card issuer. If the issuer of your payment card refuses to authorize payment to us, we will not be liable for any delay or non-delivery. In addition, we may refuse any order for any reason or no reason, including but not limited to concerns with the authenticity of payment information, shipping information, or false identity of purchaser. 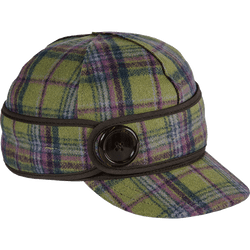 Stormy Kromer also issues gift certificates and electronic coupons that are subject to the terms provided in connection with each such instrument. The amount of sales tax to be charged can depend upon many factors including the value and type of item purchased and the shipping destination. Items sold by Stormy Kromer and shipping are subject to sales tax, subject to state specific exemptions. We reserve the right to collect sales tax as laws change, or as our company grows. Stormy Kromer is not required, and does not collect, sales or use tax in some states. Your purchase is subject to state use tax unless it is specifically exempt from taxation and is not exempt merely because it is made over the internet or by catalogue. US States including South Carolina, South Dakota, Vermont and Kentucky require each purchaser to report any purchase that was not taxed, and pay tax on this purchase on the state’s use tax form, which is available on the relevant Department of Revenue website. We try to respond promptly to email and other messages from customers and visitors to our site. However, we are under no obligation to respond to such messages, to maintain such messages in confidence, or to pay for such comments or submissions. Please be advised that all product reviews, emails, comments, feedback, suggestions, ideas and other information disclosed or submitted to us will become our property and are deemed non-confidential (except for credit card or payment account information, which may be used only as permitted by law and to process payment). By submitting any email or other correspondence to us, you thereby release all proprietary claims and intellectual or other property rights therein. You agree that we may use and/or disclose information about you, such as demographics or your use of this site. By taking part in promotions, contests or sweepstakes offered on the site, or by requesting promotional information or product updates, you agree that we may use your information for marketing and promotional purposes. You are responsible for your communications and all consequences of their submission to us. Please do not: transmit to us material that is copyrighted by a third party, without that party’s permission; send material that reveals trade secrets without permission of the owner of those trade secrets; send material that infringes on any third party’s intellectual property rights without that party’s permission; send material that is threatening, harassing, defamatory, obscene, hateful, abusive, defamatory or embarrassing to any party; send sexually explicit images; send advertisements or solicitations; send chain letters or pyramid schemes; or impersonate another person. If you violate these provisions, or if we think you have violated them, we reserve the right to expel you from the site and prevent your future use of the site, as well as any and all other rights and remedies to which we may be entitled. WE ARE NOT LIABLE (EXCEPT AS SET OUT BELOW) FOR ANY ERRORS AND/OR OMISSIONS CONTAINED IN OUR WEBSITE AND RESERVE THE RIGHT TO CHANGE INFORMATION, PRICES, SPECIFICATIONS AND DESCRIPTIONS OF LISTED GOODS, PRODUCTS AND SERVICES AT ANY TIME AND WITHOUT NOTICE. 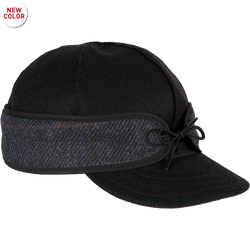 THE PRODUCTS SOLD ON STORMYKROMER.COM ARE PROVIDED FOR PRIVATE DOMESTIC AND CONSUMER USE ONLY. ACCORDINGLY, WE ARE NOT LIABLE FOR ANY INDIRECT LOSS, CONSEQUENTIAL LOSS, LOSS OF DATA, LOSS OF INCOME OR PROFIT, LOSS OF DAMAGE TO PROPERTY AND/OR LOSS FROM CLAIMS OF THIRD PARTIES ARISING OUT OF THE USE OF THE SITE OR FOR ANY PRODUCTS OR SERVICES PURCHASED FROM STORMYKROMER.COM. WE MAY DISCONTINUE ALL OR SOME OF THE WEBSITE OR ITS OFFERINGS AT ANY TIME WITHOUT NOTICE. ALTHOUGH WE USE CERTAIN SECURITY MEASURES, WE ARE NOT LIABLE IN THE EVENT OF A BREACH IN OUR COMPUTER SERVERS, COMPUTERS, OR OTHER DATA STORAGE DEVICES. WE ARE NOT LIABLE TO YOU FOR ANY DELAY IN THE DELIVERY OF PRODUCTS ORDERED OR ANY OTHER MATTERS TO THE EXTENT THAT THE DELAY IS DUE TO ANY EVENT OUTSIDE OUR REASONABLE CONTROL, INCLUDING BUT NOT LIMITED TO ACTS OF GOD, WAR, FLOOD, FIRE, LABOR DISPUTES, STRIKES, LOCK-OUTS, RIOTS, CIVIL COMMOTION, MALICIOUS DAMAGE, EXPLOSION, GOVERNMENTAL ACTIONS AND ANY OTHER SIMILAR EVENTS. WE MAKE NO WARRANTY THAT THE WEBSITE WILL MEET YOUR REQUIREMENTS OR WILL BE UNINTERRUPTED, TIMELY OR ERROR-FREE, THAT DEFECTS WILL BE CORRECTED, OR THAT THE SITE OR THE SERVER THAT MAKES IT AVAILABLE ARE FREE OF VIRUSES OR OTHER HARMFUL MATERIAL OR REPRESENTS THE FULL FUNCTIONALITY, ACCURACY, OR RELIABILITY OF THE WEBSITE. WE ARE NOT RESPONSIBLE OR LIABLE TO YOU FOR ANY LOSS OF CONTENT OR MATERIAL UPLOADED OR TRANSMITTED THROUGH THE WEBSITE. IF YOUR USE OF THE WEBSITE OR THE SITE’S MATERIAL RESULTS IN ANY COSTS OR EXPENSES, INCLUDING WITHOUT LIMITATION, THE NEED FOR SERVICES OR REPLACEMENT OF EQUIPMENT OR DATA, WE ARE NOT LIABLE FOR THOSE COSTS OR EXPENSES. CERTAIN STATE LAWS DO NOT ALLOW LIMITATIONS ON IMPLIED WARRANTIES OR THE EXCLUSION OR LIMITATION OF CERTAIN DAMAGES. IF THESE LAWS APPLY TO YOU, SOME OR ALL OF THE ABOVE DISCLAIMERS, EXCLUSIONS, OR LIMITATIONS MAY NOT APPLY TO YOU, AND YOU MAY ALSO HAVE ADDITIONAL RIGHTS. You agree to indemnify, defend, and hold Stormy Kromer and our subsidiaries, affiliates, officers, directors, agents, co-branders or other partners, employees, and representatives harmless from and against any and all claims, damages, losses, costs or expenses (including reasonable attorneys’ fees) that arise directly or indirectly out of or from (a) your breach of these Conditions, (b) any allegation that any materials that you submit, or any other submission via the website, infringe or otherwise violate any third party rights; or (c) your activities, errors or omissions in the use and in connection with the website. This site including all Content is expressly owned and operated by Stormy Kromer. Unless otherwise noted, the design and Content featured on this website, products and product details, icons, navigational buttons, images, artwork, graphics, photography, text, audio and video clips or Content, software and the like, are owned by Stormy Kromer. This website, as a whole, is protected by copyright, trademark, trade dress, intellectual property and other applicable laws. All worldwide rights are reserved. We are not responsible for material displayed on third party websites or any other written material. 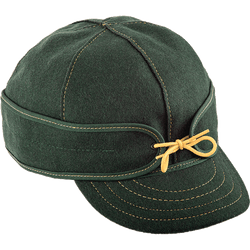 The only prices that apply for Stormy Kromer products are those stated on Stormy Kromer material and the Stormy Kromer website. We cannot vouch for the reliability of prices stated on shopping directories or through any other third party. This website may contain links to sites owned and operated by third parties. These links are provided as a convenience to you and are not an endorsement by us of the products or materials on those sites. We are not responsible for the Content of those sites and make no representation regarding the truth, quality or accuracy of same. Visiting the linked sites is at your own risk. No waiver by us of any of these Conditions on any single or multiple occasion(s) shall be construed as a waiver of any preceding or subsequent breach of any of the Conditions. You agree that you will pursue any claim arising under or related to these Conditions and the website only in your individual capacity, and not as part of any class action or collective action. You agree that you must pursue any claim you may have arising under or relating to the website and associated Content within twelve (12) months of the first discovery of such claim and any claim not brought within such period is waived and forfeited. These Conditions shall be governed by and construed in accordance with the laws of the state of Michigan. In addition, you irrevocably submit to the exclusive jurisdiction and venue of the courts of the state of Michigan. If any term or provision of these Conditions shall be found or is held by any court or applicable body to be invalid, illegal, or incapable of being enforced by any rule of law or public policy, all other terms and provisions of these Conditions shall nevertheless remain in full force and effect. In the event any of these terms is prohibited or superseded by applicable law, then the applicable law controls. Stormy Kromer takes claims of copyright infringement seriously. We will respond to notices of alleged copyright infringement that comply with applicable law. A statement as follows: I am the copyright owner or I am authorized to act on behalf of the copyright owner. I have a good faith belief that use of the copyrighted material described in this notice is not authorized by the copyright owner and is not permissible under law. I declare, under penalty of perjury, that the information presented in this notice is accurate and that I have a good faith belief that the use is infringing. Please be aware that if you knowingly materially misrepresent that Content or other material is infringing your copyright, you may be held liable for damages (including costs and attorneys’ fees) under Section 512(f) of the DMCA. A statement that you will consent to the jurisdiction of the Federal District Court for the judicial district in which your address is located and that you will accept service from the person (or an agent of that person) who provided the initial DMCA Notice to Stormy Kromer. The DMCA allows Stormy Kromer to restore the removed Content or materials if the party filing the original DMCA Notice does not file a court action against the party filing the Counter-Notice within ten (10) business days of receiving the copy of the Counter-Notice. Please be aware that if you knowingly materially misrepresent that Content or other materials were removed or disabled by mistake or misidentification, you may be held liable for damages (including costs and attorneys’ fees) under Section 512(f) of the DMCA. These terms and conditions were last updated on April 24, 2018.